Looking for a job and want to work for one of the best businesses in Cedarburg? Click here for more information on current openings. 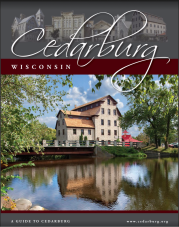 Click here to join the Cedarburg Chamber of Commerce today! © Copyright 2019 Cedarburg Chamber of Commerce. All Rights Reserved. Site provided by GrowthZone - powered by ChamberMaster software.